Sagittarius is the 9th Sign of the Zodiac. Truth seekers, adventurers, lovers of travel (and their own selves), Sagittarius individuals are fun loving and a good company. Many of them are philosophic in bent, and their spirit of inquiry is practically relentless and endless. Restless, curious and always ready to explore, sometimes they may end up being too upfront and garrulous. Given their quest for truth and ultimate wisdom, most Sagittarius do not take things at their face value. They take their own sweet time to form their opinions, and would not hesitate in asking embarrassing questions. Candid as they are, in their attempt to know and see, they may end up asking/saying unexpected things. Archers also exhibit a certain duality. Although, such keen investigators themselves, willing to go an extra mile to find, read, communicate, they themselves may resent the complex education system and formal training. They can be, fanatics yet atheists, and tactless yet serious! Subjects like philosophy, education, religion, mysticism, occult, medicine engross and attract Archers. No wonder, many Sagittarius-born make good inventors or discovers. Self confident, sometimes to the degree of being arrogant, high spirited, they also make good advisers, teachers and social bees. Many Archers also opt to work in the fields related to media and arts, as these areas allow the free birds to work in their ways. Sagittarius adore their freedom, and restrictions of any sort may irritate and frustrate them. And thus, in relationships, they require (and even demand) their own space. In love, they are cheerful and giving. In fact, the Sagittarius are their happiest in a new relationship. However, as the relationship progresses, the restless Archers may start resenting the sense of confinement and responsibility. Yet, they know and appreciate the importance of such bonds, and shall rarely attempt to break it. Sagittarius is a mutable horoscope sign, which normally means a follower. But in this case, it’s the characteristic of independence, the ability to unroot and move at any moment, as if unattached to the social surroundings. The Sagittarius Zodiac sign doesn’t follow anyone, and simply doesn’t care for being followed either. It’s all about going one’s own way. Sagittarians are extremely independent. They are honest and optimistic in life. They know that there is an away out of everything. They love their freedom. They always smile and have a great sense of humor. You will never feel bored, if you are with a Sagittarian. They are highly philosophical. They love themselves and often comment harsh words against others, but you can count it as their straightforwardness. Sagittarians are honest and dedicated workers. They are the inventors. Sagittarians are obsessed with themselves. They love themselves so much that sometimes, they get carried away with the thought that they are the greatest living being on this earth. They are unemotional and reckless. Sometimes, you may amaze how cold they can be. If you hurt them, you cannot escape their rude and harsh words. Sagittarians often want to hide away from responsibilities in family life, and for this reason; you cannot leave a serious task to them solely. Ambitious: Sagittarians are highly ambitious. They never give up, until they do it. For them, the term ‘Impossible’ is not even in the dictionary. No matter, if they are upset or remorseful, they will finish their target at any means. Optimistic: Sagittarians are optimistic. They will keep on trying until they meet with success. They are very positive in life. They know that their luck is with them, and time is all, which matters. Their positive attitude makes them strongest. Helpful: Sagittarians are very helpful in every sphere of their lives. If they see someone, close to them, needs help, they jump to help them without even a second thought. If you are in distress, your Sagittarian friend is there for you. Restless: Sagittarians are very often described as impatient. They lose their temperament very easily, which gives birth to uneasiness around them. Sometimes their restlessness often turns to aggressiveness. They are always eager to jump to conclusions. Leader: Sagittarians are born leaders. They do not hesitate to make the first step to set the trend. They are good organizers, which excel with their determination and optimism. They do not lose their smile while dealing with the weirdest problems. 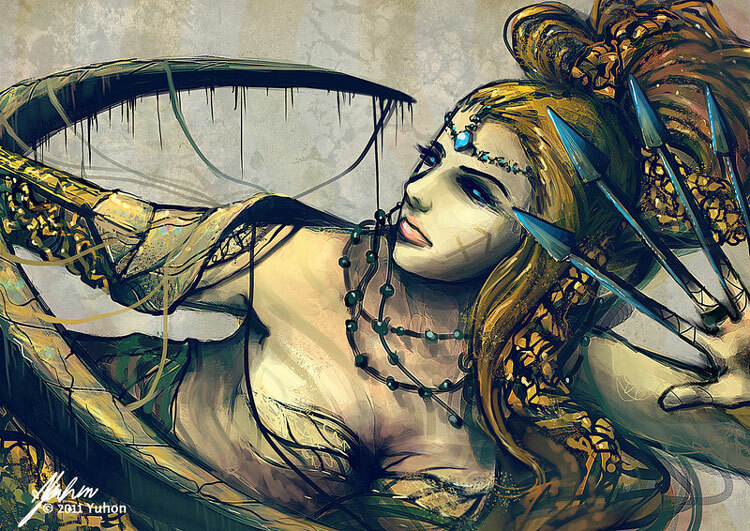 The Sagittarians are gifted with many positive qualities. They are recognized as the most active sign of the zodiac chart. 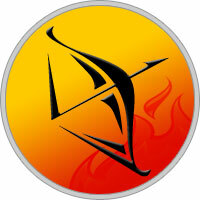 Sagittarians are endowed with athletic qualities, which make them highly successful in sports and adventures. Sagittarians are born optimists and no hardship can damp their spirit easily. They are always ready to look at the brighter side even at the most awkward situation. Once they have fixed their target they will remain focused to it till it is achieved. Their high spiritedness often causes the Sagittarians to act without considering all the pros and cons of their action. They tend to get bored easily and may not hesitate to change things often. In this course, they often lose their focus of life. Sagittarians are also not kind to criticism. They can also turn completely deaf to other’s suggestions. Optimism describes Sagittarians. They always believe that good things will happen tomorrow. It is their spirit which makes them always see at the bright side of a situation. It is said that Sagittarians are always guided by lucky stars and good things will always happen to them. Sagittarians are very independent in their dispositions. They have vibrant and expansive personalities. They are curious by nature and always seek knowledge to expand their outlook. They also have a spiritualistic bent of mind. The Sagittarius horoscope predicts that Sagittarians are unemotional. They don’t like dwelling on the past. They tend to get bored easily and simply move on with the life. Sagittarians also don’t like talking about their emotions. However, Sagittarians would make great friends. They are kind hearted and sensible to the needs of the people around them. Their optimistic attitude and jovial nature makes them great as friends.